Back in June Dagger & Brush asked me what my technique was for painting the flesh of my Cave Trolls. I wasn’t sure how to answer at the time – it had been a rushed process of painting sloppy layer over sloppy layer to get those trolls ready for a Pathfinder sitting. I’ve mulling over it since and decided to try to replicate/document the process. 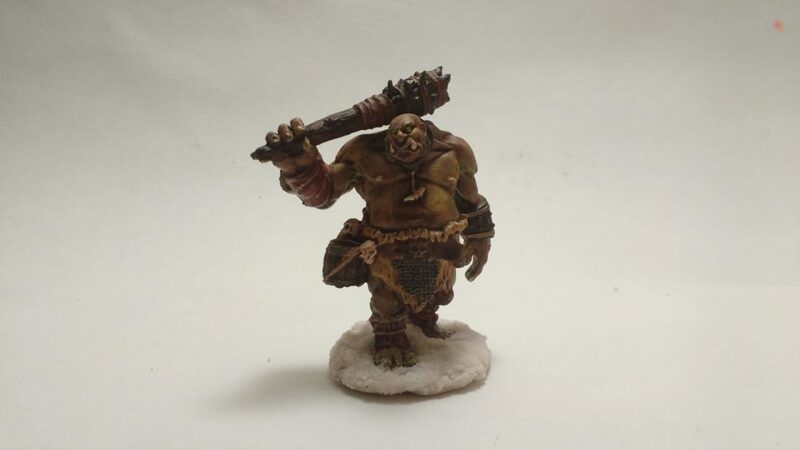 Enter the Ogre Guard from the third Reaper Bones Kickstarter. I started with a green undercoat. Second coat was my red flesh mix. Painted unevenly with a lot of gaps. Third coat was a peach color. Again uneven with lots of gaps. Smeared the yellow around for a discolored look. After detailing, dipped the poor Ogre in stained polyrethane. Dapped off the excess and left him to dry. 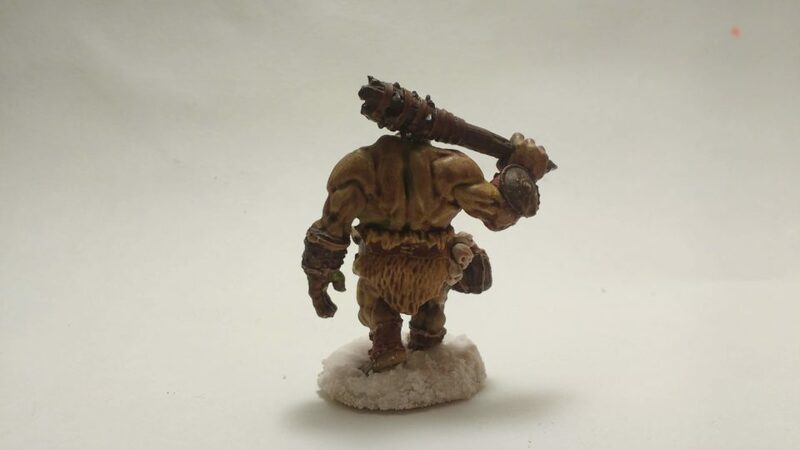 The results have me motivated to paint more Ogres…and give me an idea on how to paint some Goblins. I used snow for the base again. Not sure that was the smartest move with the default base…but I didn’t want to paint a plain old gray base again. All in all, I’m happy with how our Ogre friend turned out. All set to interact with the players in my Celestial Winter Pathfinder campaign.